A few years ago, I wrote about what types of link building strategies to avoid. And last year, I wrote about some general link building techniques that were effective as of 2017. So piggy-backing on these topics, I decided to write a more comprehensive article on link building strategies for E-commerce sites. Link building is the granddaddy of improving SEO metrics and therefore traffic. With that said, there are still many factors you must take into consideration when optimizing your Ecommerce store. I know, I know… there are many other articles on this topic, but I thought I’d put my two cents in. When it comes to SEO link building, E-commerce sites are the toughest types of sites to build links for. Why? Because E-commerce is commercial. And commerce is often associated with sales pitches and SPAM. As a result, there is somewhat of a taboo as far as linking to commercial sites. Furthermore, with Google’s stance against unnatural link building, E-commerce link building has become both challenging and time-consuming. With that said, here are 18 E-commerce link building strategies that are still effective today. Guest blogging is a method that can be used to promote pretty much any type of website. But guest blogging for E-commerce sites may be met with higher barriers due to the commercial nature. The key here is to make sure you are submitting content that is not only worthy of linking to, but also relevant to the blog. 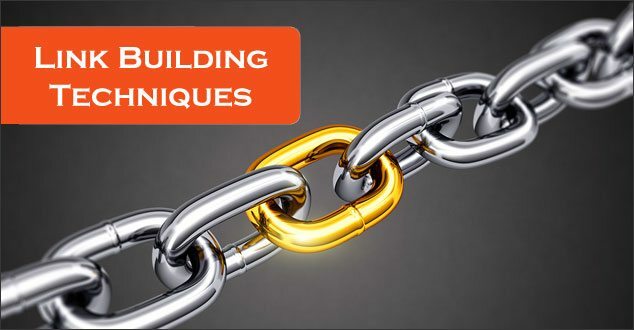 This method of link building is number one because it is effective. That being said, it is also the most difficult. If you have the funds, you can always try outsourcing your guest blogging through blogger outreaching services or services that outsource the writing of content like Fiverr. You can’t write a 300-word review about your product and ask a blogger to post it on their blog. Your submission would get shot down right away. Ideally, you should write an article that is lengthy and informative. The goal of the blogger is to help their readers in some way, so if you can help the blogger achieve that with your article, then chances are they may accept your guest post. Most importantly, you don’t want to just write some short crappy article that is clearly trying to bolster or advertise your own site. Put quality work into the article, full of images and relevant links, and make one of those links to your website. Here is an example: Let’s say you own an online store that sells dog supplies. Within this niche, you can brainstorm on topics that may work with the blog’s topic, such as “Ways to Keep Your Carpet Clean if You Have a Pet Dog” or “5 Treats Your Dog Will Love During the Summer Season”. By writing helpful advice or tips, you can increase the chances of getting your guest post published, even if you include a couple of links to an E-commerce site. There are millions of blogs all over the world, and Google isn’t always helpful when it comes to providing lists. So where can you find relevant blogs for guest blogging? This is probably one of the easier ways to get a link to your E-commerce site. A lot of blogs out there offer product reviews, but proceed with caution. If you send someone a product in exchange for a product review that includes a link to your site, Google still considers it a paid link. I will warn you ahead of time that blogroll link requests typically get ignored, but it works once in a while. If you visit blogs often, why not take a minute to contact the blog owner and ask for a link in the blogroll. If you have awesome products, who knows they may be willing to link to you if they think it will help their readers. This is not really a new strategy, but it never had a “name” until recently. Private Influencer Networks, or PINs, are basically groups of people who form partnerships with the purpose of helping each other build links to their websites. PINs may seem like nothing more than link exchange networks, but they’re not. Instead of exchanging links, PINs focus their efforts on building quality links from 3rd party sites. For example: Say one of the members of a PIN group is an author of a major news publication like Huffington Post or BusinessInsider. He could then publish an article on those publications and include links to not only his own site, but also links to sites owned by his partners within the PIN group. This is sort of like a never-ending link exchange partnership, but instead of a reciprocal link, you’re building links from 3rd party sites, which in my opinion is a whole lot better anyway. In 2013, I wrote about how link exchanges were still effective. But, it comes with conditions. Be very selective with who you exchange links with and do it only with quality sites. And in Google’s own words: “Excessive link exchanges (“Link to me and I’ll link to you”) or partner pages exclusively for the sake of cross-linking” The key here is to avoid “excessive” link exchanges and to not create a page solely for link exchanges – something that nearly all websites used to do 10 to 15 years ago. Press releases can effective for SEO – if you do it the right way. Some businesses ignorantly hire an expensive PR company expecting miracles to happen. PR companies can help – if they understand SEO and how it applies to content creation and marketing. Do not over-optimize anchor text keywords in press releases or articles. Do not add too many links in one article or press release. I would limit it to 4. Do not distribute the same article or press release to a bunch of different sites. This is duplicate content. Although it probably won’t hurt you to do this, it certainly won’t help you either. Do include one or two links – maybe one link with a keyword anchor text and the other with the URL as the anchor text. Do write something unique and informative. Creating great content for links is not a new concept – it fact, it has been around since the Internet was founded. By creating great content, you can earn yourself organic search rankings, as well as links from 3rd party bloggers and webmasters who find value in your content. This content can be anything including infographics, comprehensive lists, “how-to” guides and more. Prior to 10 years ago, web directories were one of the most exploited ways to build links. It was popular because it was so cost-effective, yet simple enough that anyone could do it. SEOs and webmasters were building hundreds of links every week through directory listings. That was before Google decided to get serious about fighting spam and unnatural link building schemes. These days, web directories are not discussed much in the SEO community. A lot of people avoid them altogether because directory link building is somewhat of a gray area. Quality is the key to how effective a directory link will be. And determining the quality of a directory requires both objective and subjective analysis. SEO experience definitely helps in this area. My idea of a quality directory may be different from someone else’s. Check out my list of quality web directories. Also, don’t overlook niche directories. These types of directories often carry more weight due to topic relevancy. This SEO technique may be considered gray to black hat, but it’s an idea. As you may know there are many free image hosting sites on the web. And on some of these sites, you can create a user profile and even add content. Within the profile or content, some of them allow you to add links to external sites. If you decide to do this, make sure you are adding some meat to the content. Adding sufficient content is the key because if you don’t, you can almost guarantee that Panda and Penguin filter will kick in. Doing competitive link analysis is a great way to find potential link building opportunities. One, you already know your competitors are doing business in the same industry or niche as you. And two, you know that these sites are linking to sites similar to yours. Having this intelligence brings you one step closer to building a new link to your site. So how do you do competitive link analysis? There are many free and paid backlink checker tools out there. Some of these tools come packaged via an SEO software. ie: Ahrefs or SEMRush. With a backlink checker tool, you can see which websites are linking to your competitors. Now you have a list of sites or blogs you can reach out to. The rest is up to you – your messaging and negotiating skills. With this method, your goal is to find broken links on sites or blogs where you want a link from. As with most SEO-related tasks, there are free online tools for this, as well as SEO software. ie: Dead Link Checker. Using the broken link checker tool, scan a page or two of the site that you want a link from. Once you have a list of broken lists, reach out to the webmaster or site owner and let them know which links are broken. This idea is for E-commerce sites that are carrying products from manufacturers that don’t sell directly to consumers. These manufacturers may have a website, but since they are not selling online, they sometimes have a page where they list 3rd party shopping sites where the consumer can buy their products. If you are in partnership with any manufacturers, check their site to see if they have a “Where to Buy” page. If they do, then try reaching out to them and ask for a link. Testimonials are used by websites to brag about the awesome products or services that they offer. And sometimes, they will include a link to the individual or company that left the testimonial. So, the idea is to leave a testimonial on a site if you have purchased their product or service. Chances are, if your testimonial is better than the others, they will add yours. But be sure that the site offers a link to the testimonial because otherwise, it will simply be a testimonial with no SEO value. Have you ever seen case studies of how a marketing company was able to help an e-commerce site grow their revenue by an X percentage? The case study is usually published as a blog post and it includes links to the company that the case study is about. Why not be a part of a case study for your SEO, marketing or development company? You can get some publicity as well as a link or two. Serving as an example site is the same concept as a case study, except an example, is simply a mention, and not an entire case study devoted to a certain company. An example site can simply be a link to an article that does exactly that – serve as an example to back up the writer’s point. Do you offer cool, unique or innovative products or services? If so, there are sites where you can submit your products for review. You could say this method is similar to a product review, but it’s slightly different because these are niche sites that only deal with cool, unique or innovative products. I think when you take the niche into context, then there is a little more leeway in terms of justifying links to E-commerce sites. Examples: BoredPanda.com, BestProducts.com, DudeIWantThat.com, and many more. CoolSiteoftheDay.com is another site that accepts submissions for any type of “cool” site. Just look up “cool products,” “unique products,” or “cool sites” on Google. Every industry has an association or group dedicated to helping promote the industry. Many of these industry associations have websites that link to member sites. Now I’m not suggesting that you join an association solely for the purpose of getting a link, but if you are passionate about your industry and want to help promote it in a positive way, then why not consider joining one? Most cities in the US have a chamber of commerce. As a member, you get access to certain benefits such as exposure in the local area as well as discounts at participating businesses. In addition, most chamber of commerce sites has a directory where they list their members. Again, I’m not suggesting you become a member solely of a link, but there are several benefits to joining. Some non-profit organizations link out to sponsors from their website. Support a good cause and be rewarded with a link? Sure, sounds good! I hope I’ve given you some good ideas for building links to your E-commerce site. If you know of any other effective strategies for E-commerce link building, please let me know.